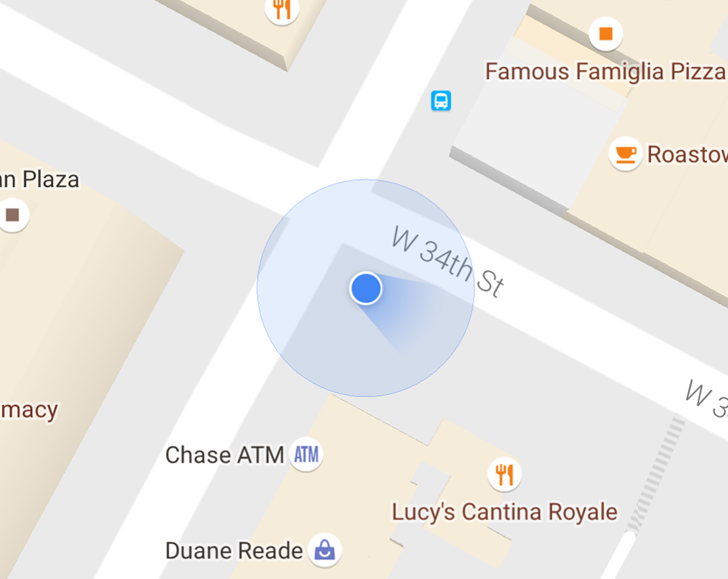 Last month a few Google Maps users started seeing a new display style for the direction indicator, that little arrow that shows which way your device is pointed (or at least which way it thinks it's pointed) on the primary maps and navigation interface. Specifically, it's no longer an arrow: it's a more general "beam" indicator that shows both the approximate direction you're facing and how accurate your device's orientation reporting is. According to the official Google Maps blog, that feature is now rolling out to all users. It's a small change, but the beam indicator gives us more information at a glance and reminds us to work with the Maps calibration tool when necessary. The change seems to be server-side, so there's no specific version of the Google Maps app that you need to enable it. If you don't see it on your phone or tablet at the moment, you probably will sometime later this week.